There’s something happening in the Midtown district of Oklahoma City: a new church is being formed. Chris Pollock is a pastor at Bethany First Church of the Nazarene (BFC), New Testament professor here at SNU and one of the people spearheading the operation of planting a church in the Midtown area. After three years of planning and praying, his vision of starting a church is just now beginning to take place. BFC has agreed to partner with Chris in helping fund the startup cost until the official opening on November 29th of this year, the first Sunday of Advent. 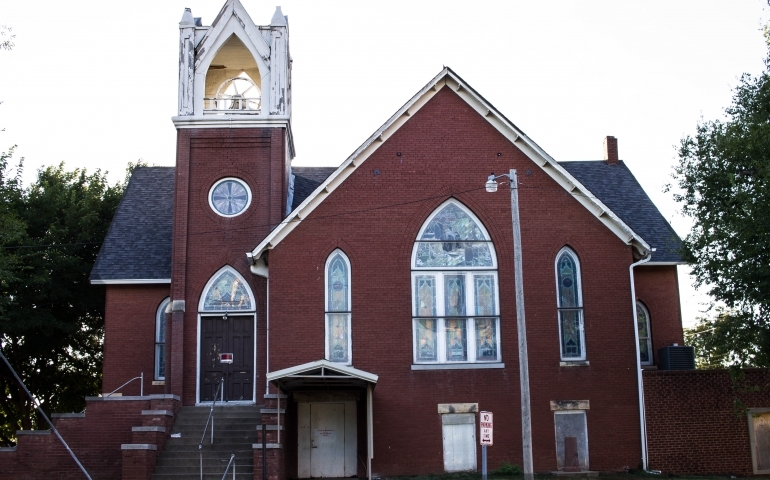 While there is no name for the church that will be planted in Midtown, there is a building. On the corner of 8th and Lee in the heart of Midtown lies an old 19th century church owned by St. Anthony’s hospital that has been vacated for years and needs to be remodeled. After countless months of meetings, the St. Anthony’s board of officials approved for the property to be purchased, opening the door for Pollock and his team to move in. There are still a few I’s to dot and T’s to cross on the legal side of things, but it is progress nonetheless. During the past year and a half, Chris has recruited and challenged several people to open their hearts and minds to joining his “core team”. There are a couple SNU faculty and students who are on this core team, including myself. The core team’s objective is to meet every Sunday evening on location in Midtown from 5:00 to 6:00 to discuss different topics in relation to starting a church, as well as inviting others to come check out the group and hear our mission. Being a member of the team is a commitment to being a member of the congregation, making ourselves available to help in any way necessary and to love our neighbors in the community. When starting a new church, often times people are asked what makes that church different and if there is any distinction from other churches out there. The mission and purpose behind the Midtown church plant is that the people behind it want to be true neighbors, be a people of peace and be a community of hope and restoration. Midtown is right in the heart of Oklahoma City, where you’ll run into interestingly diverse groups of people from all walks of life. The church at Midtown is an open-door/no-nametag type of church that is looking to engage in conversation and community with generous hospitality. Also, near the end of each month, the Midtown team will put on “preview services” which are essentially practice services for Chris, his pastoral staff and core team members. These are public services and anyone is welcome to attend. If anyone is interested in visiting, would like to learn more about the church plant or is willing to become a member of the core team, the next preview service will be on Sunday, September 20th at 5:00PM at City Pres Church off 13th and Classen.